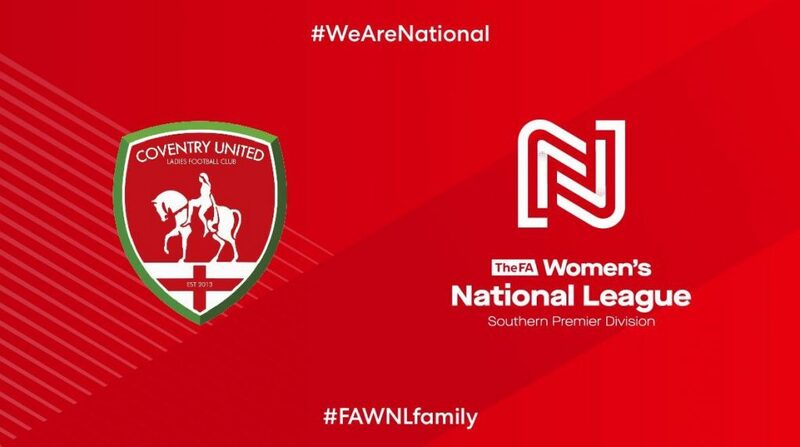 We’re checking in with clubs in the new-look FA Women’s National League (formerly the FA WPL) and now we’re heading to Coventry United Ladies, a side that finished fourth in last season’s FAWPL Southern Division. 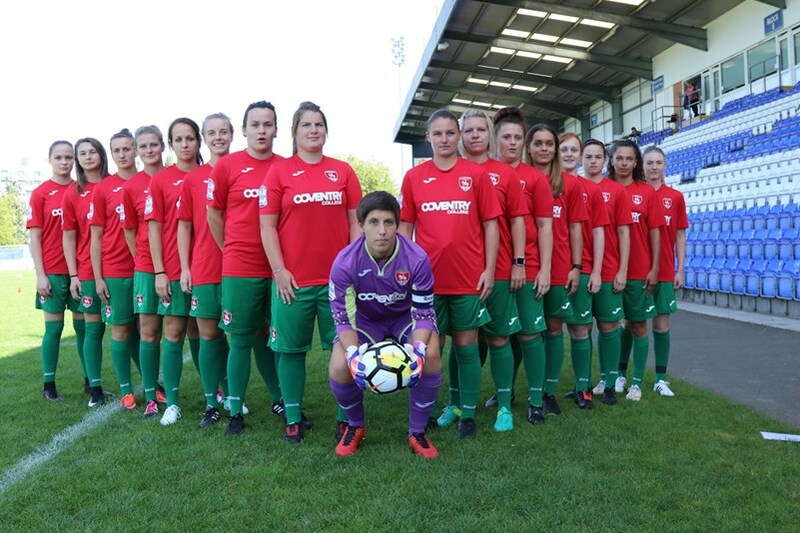 With four sides having left the league for the WSL & Championship, the red and green army are hungry for a successful campaign ahead. 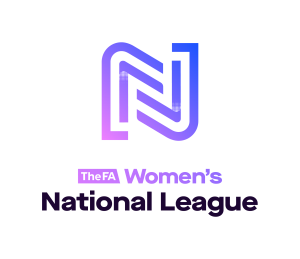 We check in with Maz Gauntlett and Nikki Miles, as well as Manager Jay Bradford. SK: How did the close-season break go for you – what did you get up to/? MG: During the closed-season I spent most of my time with family and friends. I had an off-season programme to follow while we were on a break so I was in the gym or on the track to try and stay in shape. NM: I enjoyed the break from football, however I didn’t get much of a rest as I do Crossfit and competed in a few competitions across the close season. NM: I was actually excited and couldn’t wait to get back on the ball and see the team. MG: We had quite a few players come for the trials so we got into small sided games and of course ended with some fitness (as it is pre-season). NM: We did a lot of small-sided games with different challenges and some wonderful sprints to finish. SK: How many new faces are there in the squad (staff) and how do you make them feel welcome? NM: We have had a lot of new faces which was great to see and some great talent. We have a great group of coaching staff. It’s fantastic to have Jo Potter (Reading & England) on board, she has already made a big impact. MG: I think there’re about seven or eight new faces including staff. We haven’t had any initiations yet but I’m sure on our first away trip there will be some on the coach. 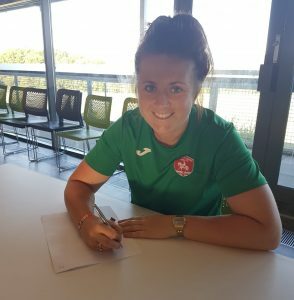 Nikki Miles re-signs for the 2018/19 season. MG: I would say probably Nat or Nikki. NM: I don’t like to brag but I have been up there, along with Rosie and nat my fellow defenders. SK: What has been the best thing about being back and what has been the worst? NM: Best thing about being back is being tested and pushing your personal limits, and of course being back on the ball. Worst Thing about being back is missing Love Island. MG: The best thing about being back is getting back on the ball and having new faces around, training has been good high tempo and good ball sessions. The worst part about being back is missing double ‘Corrie’ on a Tuesday and Thursday night. MG: That’s a tough one because there are a few within the squad that do this but I would say Nikki or Jade. NM: Very tough one, as we all have some great banter, however I would say Jade or Maz. NM: I would have to say myself, I am always being told to shut up by the staff when they are explaining drills. I just can’t help myself! MG: This has to be Nikki, as soon as you pull up to the training ground you can hear her a mile away lol. MG: Without bragging I would say me, with about three or four fresh pairs of boots! NM: There are a few pairs of naughty boots around in pre-season however I’d have to say newbie Laura, she is rocking some pointy Nike bad boys. NM: This is 100% Helen not from holiday, just her naughty coaching tan. NM: Everyone is really looking sharp however Maz has really pushed herself over the break, so definitely Maz. MG: Everyone has come back looking sharp so it would be unfair just to point one or two players out. MG: Yeah you have to set yourself targets for the season but my main target is to perform as best I can for the team week in week out. NM: I just want to be the best I can be for the team and contribute week in week out, to help us achieve our goal. NM: Sue Wood [GK & skipper] once shared a Solero ice lolly with a duck at Warwick Castle (??? – SK Ed) and Jade Ogle, our director, reckons she can moon walk (??)! MG: Our biggest fan will of course be Les, a guy that without fail home or away, rain or snow – he will be there. NM: We have a very good fan-base but Les and Alan along with a few others. They are always there, through thick and thin even when we make the big journeys down south. NM: The Butts Park Arena is a great stadium to play at, looking forward to seeing the changes. New players coming in be ready for your initiation, staff included. MG: Our home ground has a family feel to it. It’s a 4,000 seater stadium which had improvements over the off season. it’s a great place to watch football or rugby. It’s a city centre location and easily accessible by any modes of transport. Admission fee is reasonable so why not come down and watch?! MG: This year we want to be ruthless and play exciting football which will help enhance our chances of success. NM: This season is going to be a big one, many changes have happened from last year, we have a fantastic work force and incredible talent. This year’s team is a team who are focused, determined and ready for the big season ahead. Plus we all have brilliant banter and one hell of a naughty kit. How can you miss it? JB: For me personally it was about firstly assembling my back room staff and making sure I was bringing the right people into each role and that they were going to enhance the team and the club as a whole. 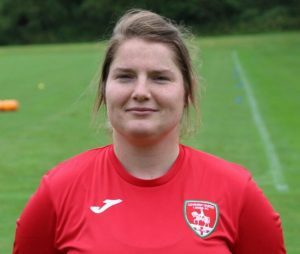 I think we made a huge statement of intent bringing Jo Potter [Reading Fc Women & England] in and also appointing Dave Tedds as our Goalkeeping coach as he pushes Sue [Wood] and the other keepers like no-one else I have worked with. Alongside this I also worked on keeping the core of last seasons talented squad and also contacting players that were on my target list to again enhance what we are trying to do at Coventry United. JB: I think I would have to say standards. We need to set our bar high and maintain that across the course of the season and learn how to win on the days when things aren’t plain sailing. You hear people say that teams that can grab a result on days where performance is not quite right go on to win leagues and they are the games that get them over the line. People put that down to luck, I put it down to standards and knowing what the level of expectation is.That’s not just the players either that’s staff too. 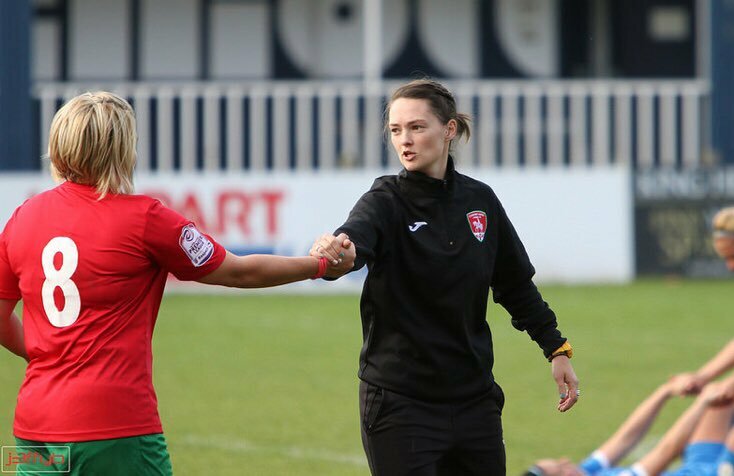 Me and my backroom staff are accountable to those same standards, we are not above them or the team, we all work towards a common goal of success. JB: I really enjoying seeing players come back in good shape and excelling in the fitness testing because of the work they have done in the off season. I like the freshness of pre season, it’s a clean slate and everyone can start again with a fresh mind and new set of challenges. It also means new equipment and a fresh notepad. I am not ashamed to admit that new stationary and new footballs make me sooooo happy! JB: The possibilities. We set our sights on winning things at Coventry United, we don’t want to just amble along and win the odd game. We want league titles and successful cup campaigns. People may see it as being arrogant or aiming too high but if you don’t have solid ambitions to reach the top level and win, what’s the point in lacing your boots up or buying that snazzy new notepad? I am also excited about the buzz around the club and that every corner of the club is taking huge strides forward and becoming a professional outfit with solid foundations.